We’ve been working on this all year with our friends at Sea-Town Real Estate in Seattle and are so excited to finally announce it. The video explains it all! One Hundred For Haiti has teamed up with Sea-Town Real Estate to put roofs on houses in Haiti. For every house Sea-Town transacts that mentions One Hundred for Haiti, Sea-Town will donate 25% of their profits to One Hundred for Haiti. 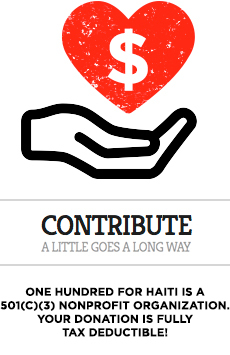 One Hundred For Haiti will use those funds to help give safe new roofs to people in need. 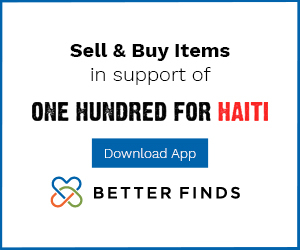 Help spread the word about this partnership by following One Hundred For Haiti on Instagram, and Facebook (@onehundredforhaiti on IG and https://www.facebook.com/100forhaiti) and sharing the posts about the partnership…..and also please ask anyone in the Seattle area to not just like Sea-Town Real Estate on social media, but to buy and sell houses through them.